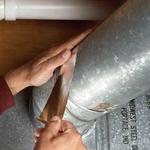 Did you know that in a typical house, about 20 to 30 percent of the air that moves through the duct system is lost because of leaks, holes, poorly connected ducts or an improperly designed duct system? Improper design – Your home’s ductwork may not be designed as it should be to provide the best performance unique to your home. You may want to consider replacing your ductwork altogether to achieve optimal efficiency. Cracks and leaks – Cracks and leaks can form over time and is a likely problem in an older home with a duct system that has not been properly maintained. Sealing cracks or modifying your ductwork is a good idea if leaks are an issue. Dirty ducts – Improperly sealed ducts will eventually begin accumulating dust, dirt, mold and other contaminants that are then continually recirculated through the air you breathe in your home. Also, if you don’t change your air filter often enough or have an inefficient filter, harmful particulates can enter your ducts and accumulate over time. A proper duct cleaning is recommended if your ducts are dirty. Problems with your home’s ductwork can greatly inhibit the performance of your heating and cooling system, decrease energy efficiency in your home thus increasing utility bills and reduce indoor air quality. Solutions to underperforming ducts is to replace, clean, patch leaks or/and insulate your ductwork. Cleaning, sealing, insulating or replacing your ductwork often pays for itself in energy savings. 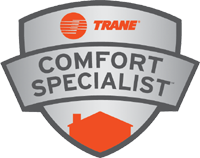 If you’re planning to install new HVAC equipment, a well-designed and sealed duct system may allow you to downsize to a smaller, less costly heating and cooling system that will provide better dehumidification. At Right Now Air & Solar, we understand that every customer’s home is unique. We can help you determine exactly what is best for your home whether it be a complete duct system replacement or a simple cleaning. One of our professionals will come to your home and thoroughly inspect your system design, test for proper air flow and leakage and check for debris using the latest technology. A duct system inspection is great if you cannot inspect the ductwork yourself and if you are not sure if your ducts are causing the problems you’re experiencing with your air flow and quality. We provide a deep cleaning of the register covers, blower, squirrel cage, coils condensation pan and return air supply. The air ducts are then brush vacuumed clean with our exclusive patented Rotobrush. The Rotobrush removes the contaminants that circulate throughout the air duct system. We then sanitize your air ducts and vents with an environmentally safe sanitizer commonly used in hospitals and nursing homes. We use top of the line sealing materials and cleaning equipment to ensure your ducts are properly cleaned and sealed to provide maximum performance, optimal energy efficiency and improved air quality. Request service or contact us for a quote.